There are concepts in the paragraph above which must be explained in order to comprehend Astriel’s meaning. Even after one is introduced to the concept of overlapping and intersecting spiritual power, Astriel lets us know that understanding the state of God (“Being Who unifies”) lies beyond our and to a lesser extent his reach. Nevertheless, to even to begin to envision what Astriel reveals about the influence of spiritual spheres upon our life should allow us all to place our lives in a different context. We are not on earth to be conceived, raised, and tossed out into the working world without a purpose. Not the dreams of our parents, not the desires of our extended families, not our own chaotic choices that we made in our early years are the primary drivers of our destiny. We are placed individually for a specific purpose and we are pushed ahead collectively for a targeted destination. And the position of the planets, stars, and galaxies have an effect. Astrology has its fans and detractors. To its opponents, it is a scam, a method of fleecing gullible people out of their ready cash. Most have heard about the college study, where each student was asked to supply their personal information so a complete astrological profile could be written. The next week, the professor handed out the results. He handed each student their own report. He asked the students to silently read them and then comment on their precision. Most of the students were amazed at how accurate they were. Many were convinced that somehow their personal feelings and milestones in their life were correctly interpreted by reading the stars. Until the professor asked each person to give their profile to the student in front of them, so each could read what the other thought was a revelation. To their astonishment, each paper was exactly the same. The profile was written general enough, but with hints of specificity that each student at first believed it was meant entirely for them. Granted, fooling college freshmen isn’t a difficult task, but the story gets at the crux of what the detractors despise about astrology; generalities that could mean nothing and something depending on each individual’s interpretation. To the non-believers, astrology is a worthless diversion for empty heads. The accessibility of astrological advice in newspapers and magazines for the general public reinforces their opinion on a daily basis. On the other hand, there are personal stories of charts and fore-warnings of great accuracy. In fact, I will relate one told to me by a friend. He is from India. It is customary, for his family, at the birth of a child to have an entire life-chart created. At his birth a chart was completed. As a typical boy, he had no interest in it. As he grew older, he never even gave it a second thought. When he was married, his mother gave it to his wife. His wife read the entire tome and was astounded. It correctly foretold the year in which he broke his arm, it even properly foretold the very arm that was broken. Plus, the year of his marriage and other factors were uncannily accurate. It even foretells the year and manner of his death, but, he told me, his wife would not let him see that part. How does one reconcile these two extremes? I suggest we think of Astrology the same way many now do about near death experiences. For many years they were dismissed as hallucinations caused by the temporary lack of oxygen to the brain, or some other medical cause. Given recent research that has eliminated each theory and proves that experiences persisted even after accepted clinical brain death occurred, one is left with the response that something did occur, although exactly what caused it is not currently provable. 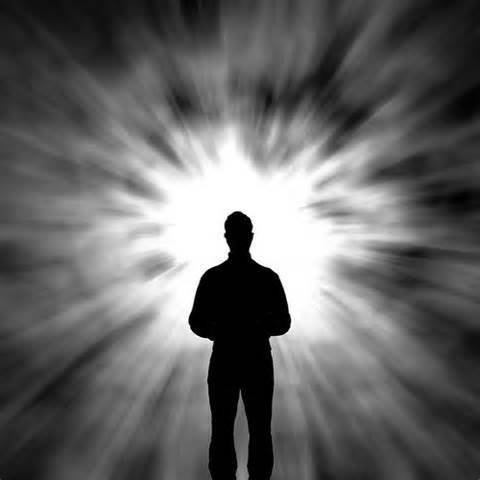 Doubters will still look for material causation and Spiritist will sit back and know that the spirit world is interacting with some souls for a purpose. A purpose that invariably entails a lesson given to assist a person to grow spiritually. Hence, while there certainly exists many who dabble in talking to spirits as a con game and a way to make a living out of the desire of people to speak to the departed, there is also a legitimate phenomenon taking place. For those who have experienced it themselves and for those practitioners who speak to souls in the spirit world to genuinely help others, know that we are on this earth for a purpose and that we are connected to the spirit world. Heaven isn’t just one enormous location, but a series of spheres which encapsulate all lower ones, like the Russian doll whereby the larger doll holds all of the others, with each higher level reserved for those who made the effort to ascend. And this is only the rings of heaven for those who have risen up from earth. 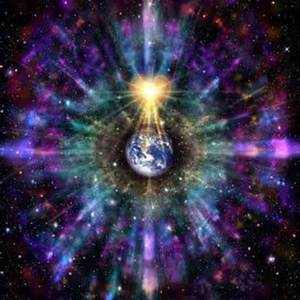 In essence, we, in our physical bodies, are carefully watched over by the higher spheres above us. Our thoughts, wishes, and prayers are analyzed and possibly acted upon by legions of workers whose job is to determine our progress during our trials on earth. Now consider the larger picture. Imagine the earth circling the sun, but much larger, with spiritual spheres accompanying the earth as it revolves around the sun in its orbit. Simultaneously, the other planets in our solar system are also rotating, with much larger foot prints. “But as you progress outward you come into a more complicated state of affairs. For not the Earth only but every planet in this Solar system has its like complement of spiritual zones or spheres. So, as you go farther and farther from the Earth, you come to a realm where the spheres of Earth and the nearest planet interweave with each other. As every planet is served with like attendance, so the complication is multiplied, and you will begin to see that the study of spheres is not so simple as good people among you evidently think it to be, who demand from us information as to the meaning of this thing. Astriel continues with explaining to G. Vale Owen, what applies to our solar system applies to every other solar system. 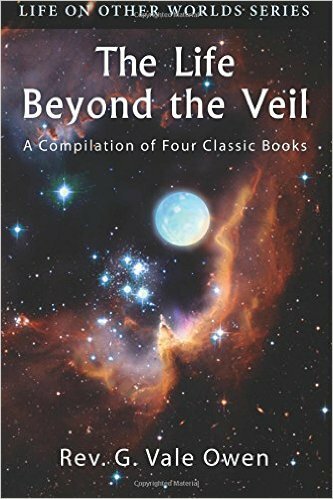 As to the question of how many spheres there are, Astriel tells us that spirits on the tenth level do not know that answer and would have to greatly ascend before being able to come close to a number. Hence, the very fact that the earth comes into contact with the spiritual spheres of other planets, means that in some manner we are affected by that influence. Just as gravity continually modifies the rotation of the earth around the sun, we too are exposed to spiritual power with could alter our own personal trajectories. 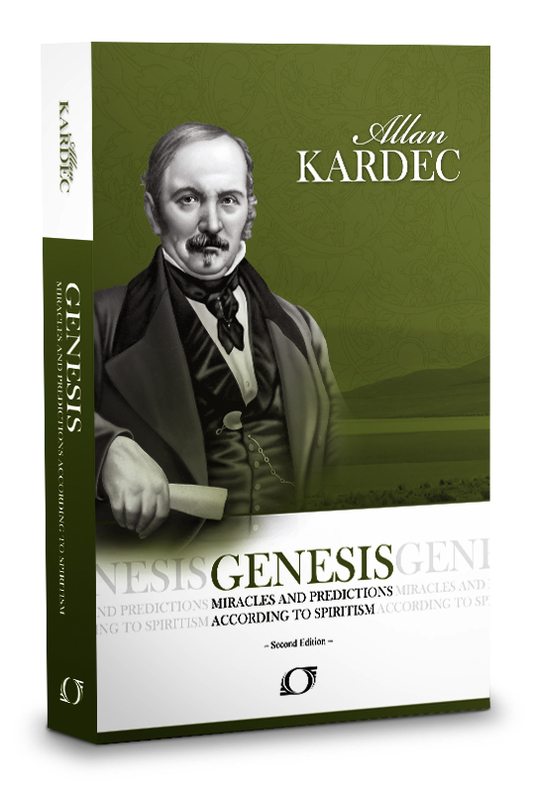 In the book, Genesis – Miracles and Predictions According to Spiritism, assembled and partially written by Allan Kardec with excerpts of communications from spirits, we are told, by the spirit Arago, how the human race progresses, by revolutions. Upheavals that may span centuries, thus unseen by individuals, are nevertheless driven (wholly or partially) by planetary/spiritual influences. 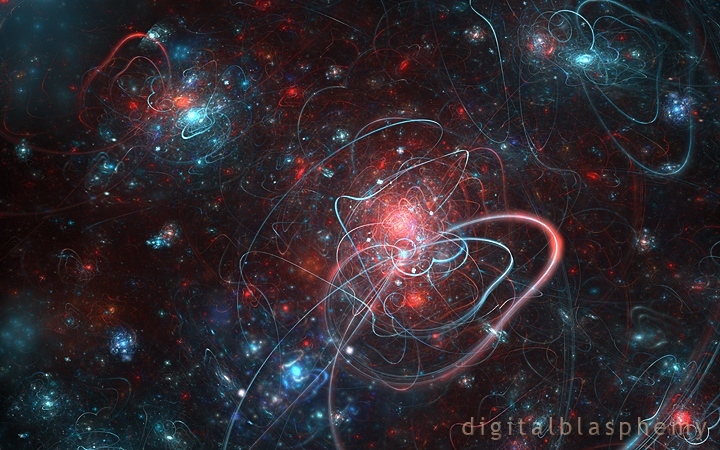 “Within a particular planetary system, all the bodies comprising it react upon one another. All physical influences are in solidarity, and there is not one of the effects that you designate as great disturbances that is not a consequence of the combination of influences within the entire system. I will state further that planetary systems react upon one another due to the nearness or distance that results from their orbital movement through the myriads of systems that compose our nebula. I will go even further and state that our nebula, which is like an archipelago in the immensity of space, with its orbital movement through the myriads of nebulae, is subject to the influence of those it nears. Unbeknownst to the billions of people on earth, there are invisible forces entering our consciousness, which causes a great many to rethink previous positions, to no longer accept what has been tolerated for decades, but to strive for something new. And the alignment and proximity of planets and solar systems have a hand in the gradual movement of a culture to a new aspiration. Like the course change of an immense tanker, which slowly veers to a new direction. The hand of spiritual force guides us onto an alternate path. “Still concerning the Solar system, we say that, on considering what we have already said, you will see that we have not yet mentioned all the complications which enter into the study of these spheres. For not alone do the concentric circles of zones about all the planets and the sun commingle with all the rest, but also the relative combination is continually changing with the changing positions of these bodies and their consequent proximity to, or distance from, one another. So that it is quite literally correct to say that during no two seconds of time is the influence from them impinging on the surface of the earth the same. 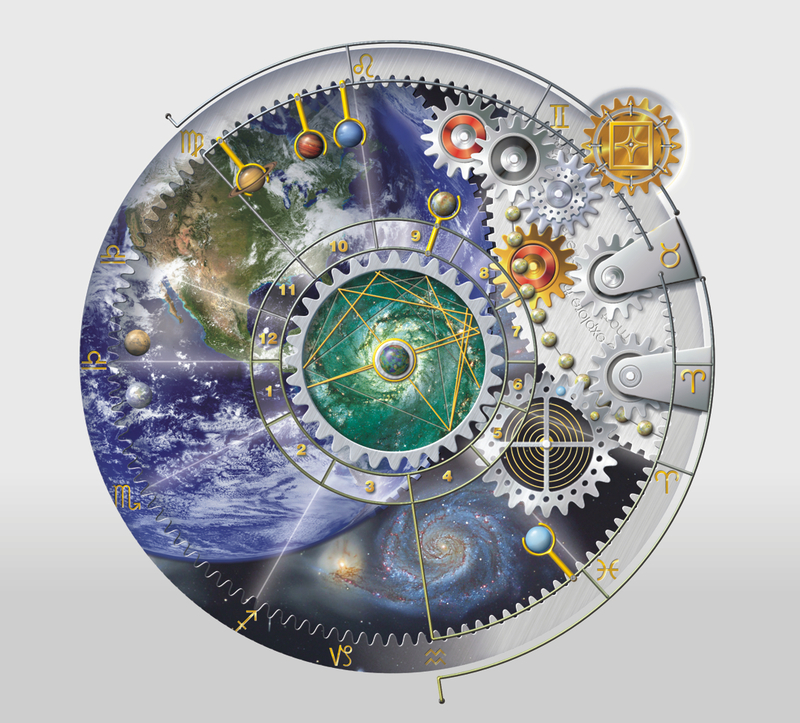 Given the complexity of calculating the dominating influence of any one planet or star upon an individual, the ability to precisely chart the effects of the planets upon our future is beyond our current capability. While astrology may have correctly guessed at the effect of a planet, the actual spiritual radiations bombarding us are of a much more complex nature. 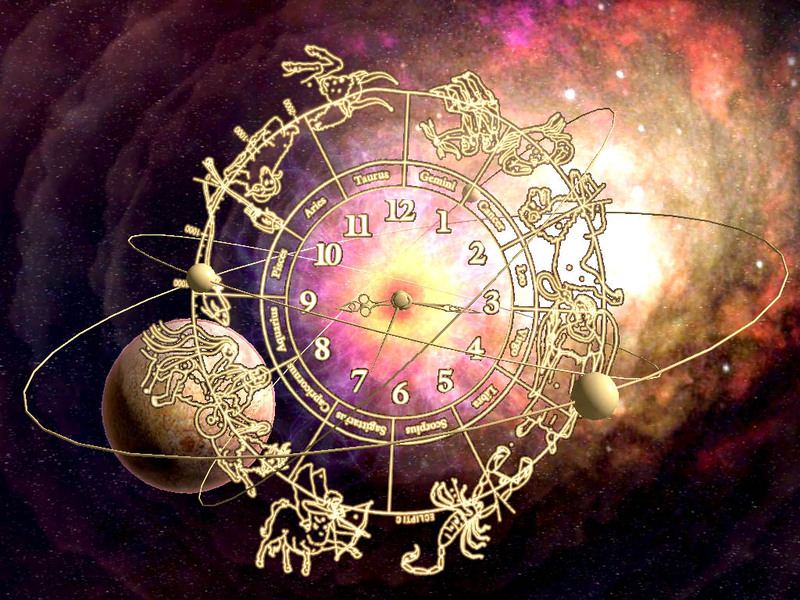 On a broad basis, I venture that astrology can predict the future like the weather stations of seventy years ago could. Sometimes they were partially accurate and other times not even in the ballpark. Only with the advent of super computers and intricate modeling of literally thousands and thousands of factors is forecasting the weather becoming more reliable. At the end of the day, do I believe in astrology? I am certain that we are influenced by planetary, and larger systemic celestial positions. I am not convinced how astrological charts correctly map personal destinies. I surmise, hence I am only putting forth a theory, that particular astrologers are also mediums, who intuitively read and interpret planetary data correctly when it comes to individuals or even possibly entire nations concerning their destinies. Through their connections and sense of spiritual and planetary influences, gifted astrologers, with assistance from helpful spirits, could be able to peer into the future and discern where the waves of invisible forces could push us. Above all else, whatever challenges come onto our path, we retain free-will to determine our choice of action and our grace in the midst of turmoil. The spirit world is waiting for us to learn more about where we came from and where we should be going to. Learn about what the spirit world expects of you in my book, Explore Your Destiny – Since Your Life is (mostly) Predetermined.